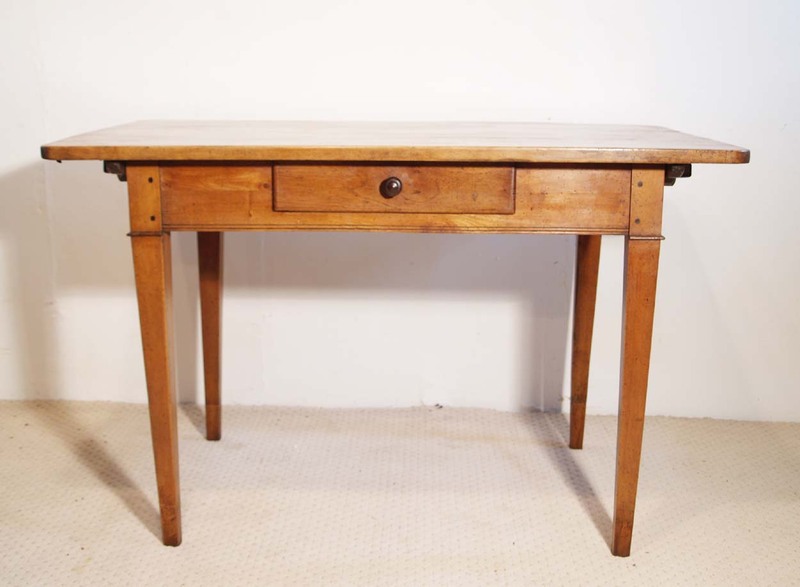 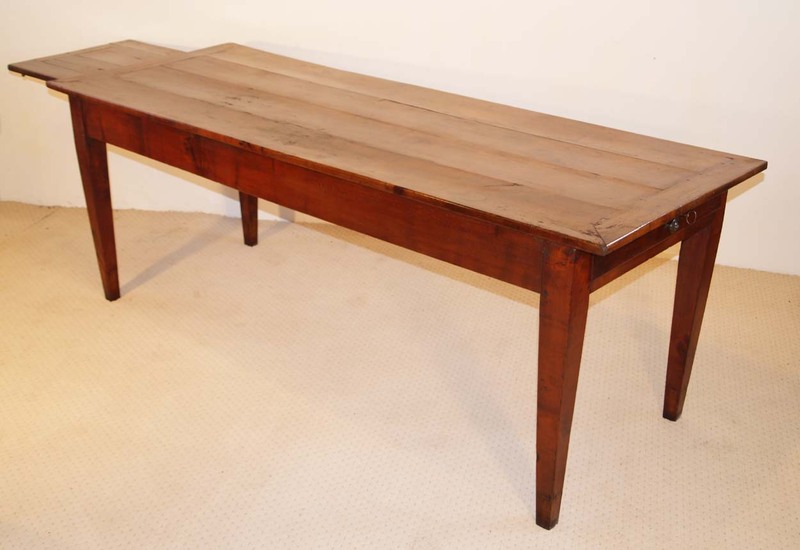 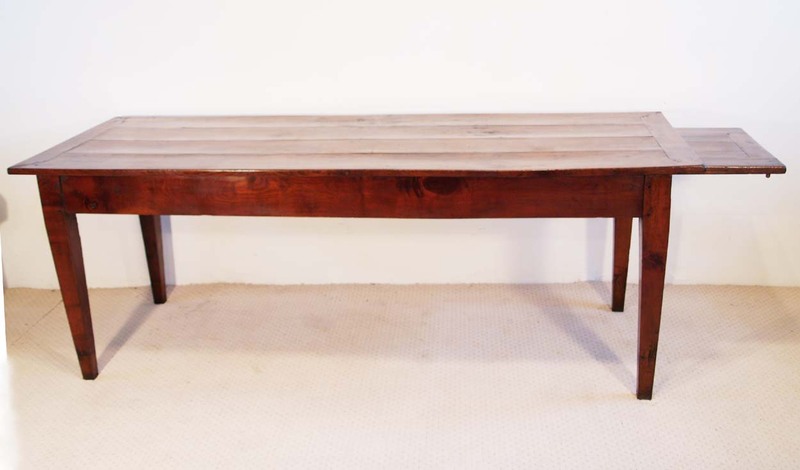 A stunning early French antique cherry farmhouse table, originating from the Normandy region of France. 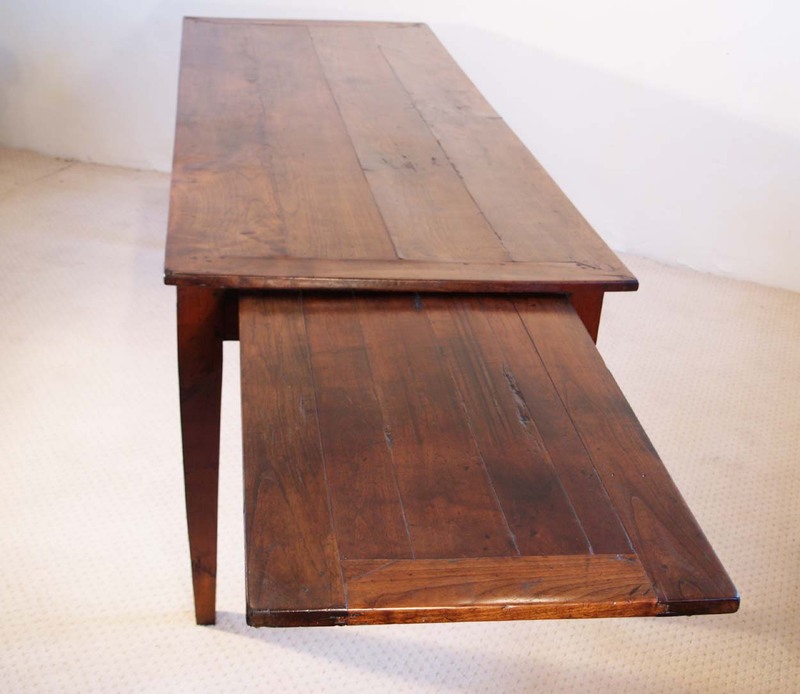 The rich colour and patina of the cherry used to build this table is superb. 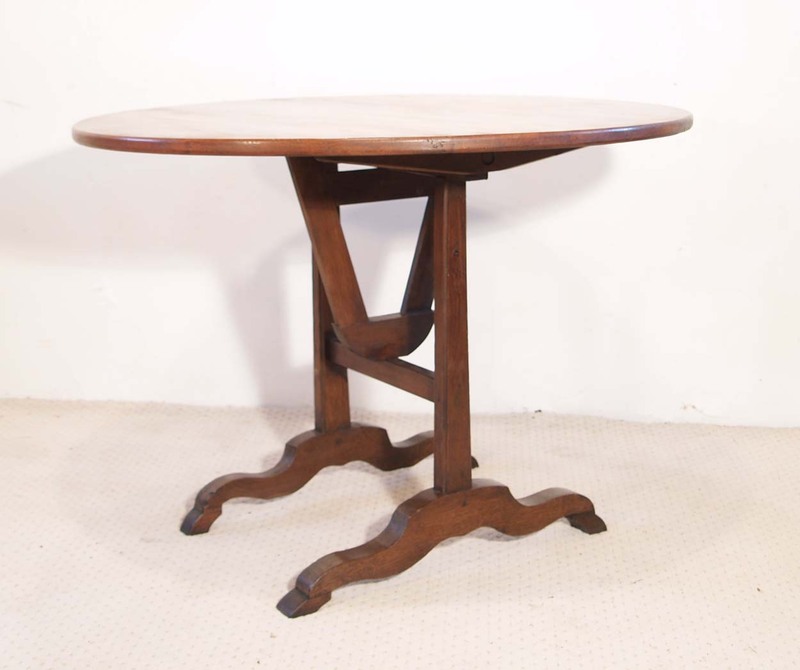 The top, which is mitre framed, ” coup onglet “, sits on a base with good solid tapered legs, ” pieds fuseau “, with the timber being hand cut and planed. 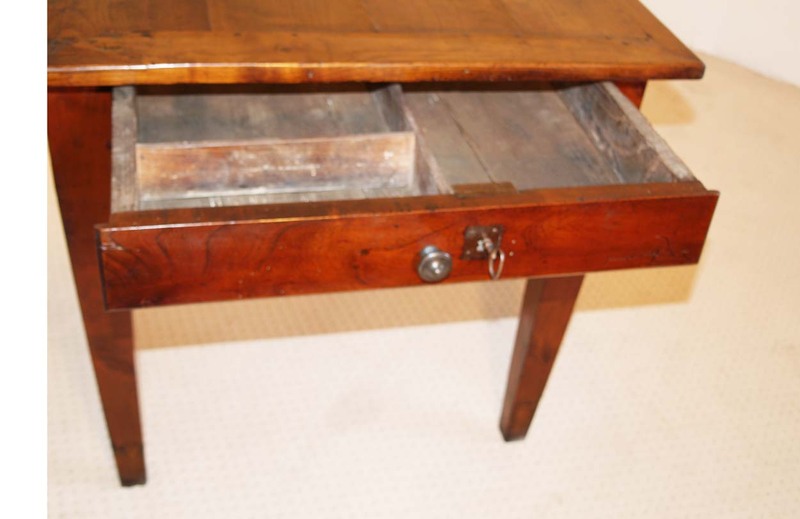 It has a long bread slide in one end, with a drawer incorporating an old lock and key, in the other end. 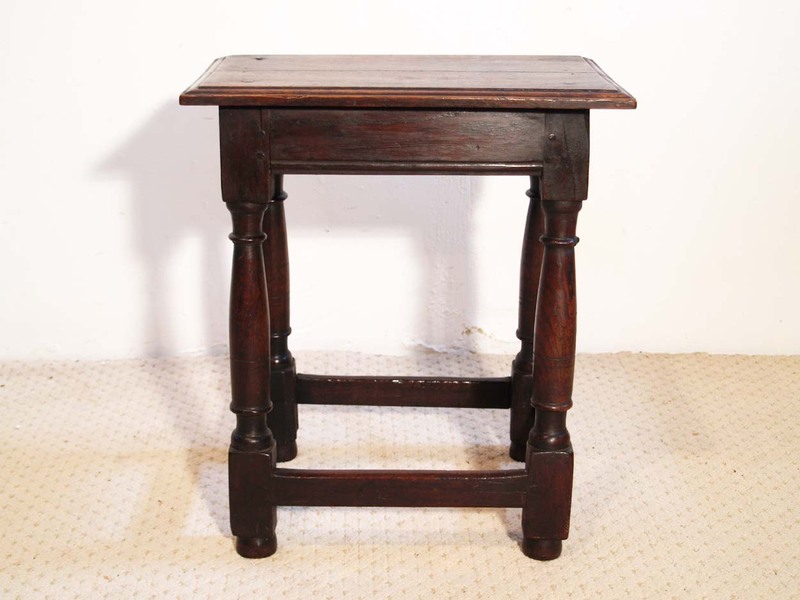 A lovely period table from the early part of the 19th century, of an exceptional colour. 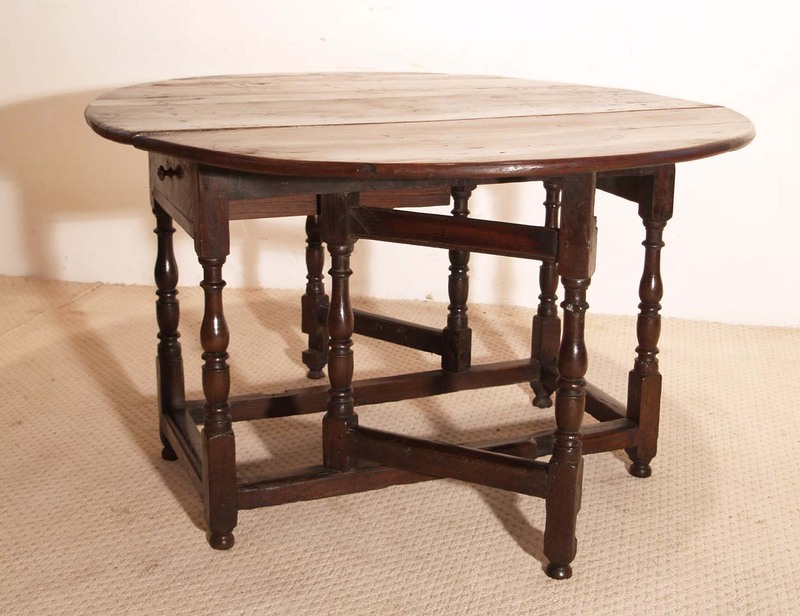 All the timber to build this table has been hand sawn and planed, giving a lovely ripple effect and a good guarantee as to it’s authenticity. 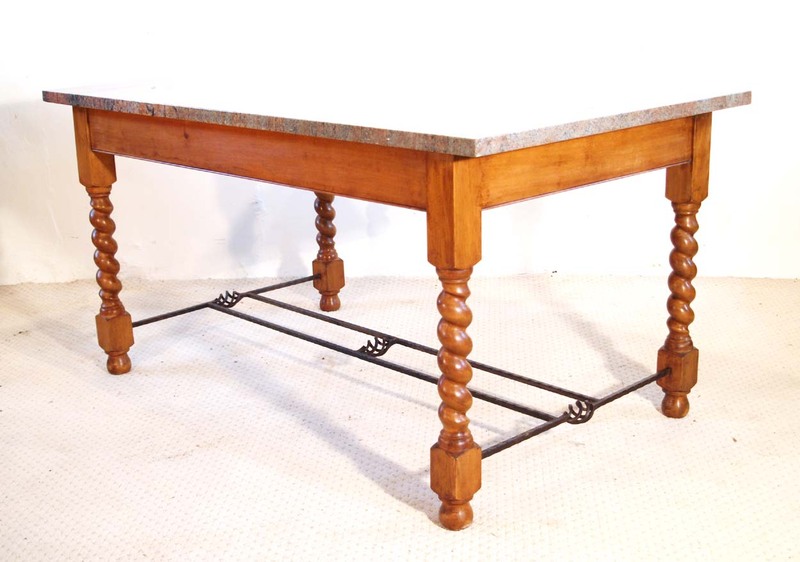 Dimensions: 210 cm ( 83″ ) long x 79 cm ( 31″ ) wide x 76cm (30”) height. 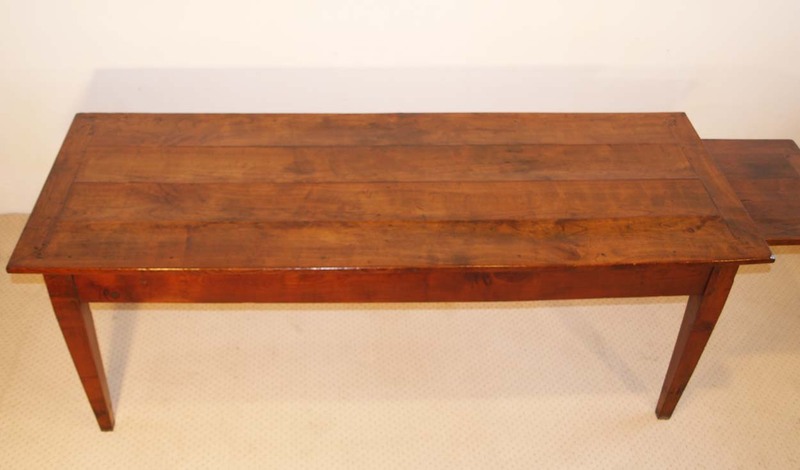 Breadslide: 90 cm (30″) in length.